YouTube, the world’s biggest platform to enjoy video and music, allows users to upload, view, rate, share, add to favorites, report, comment on videos and subscribe to other users. Available content in YouTube includes video clips, music videos, audio recordings and much more. Most of the content on YouTube has been uploaded by individuals. As reported, every minute people are uploading about 100 hours of videos on YouTube. The most popular videos on the site are overwhelmingly music videos. Many popular music videos are from Vevo which is YouTube’s music video partner, a joint venture between some of the top record companies: Universal Music, Sony Music, Google, and Abu Dhabi Media. The following list are top 10 most-viewed YouTube music videos. Take some time to click through this list and enjoy the music now. Downloading YouTube video for playback offline is increasingly popular. You may also need save all of your favorite music video from YouTube on computer, rather than stream them online with ads. To play ad-free YouTube videos offline on portable devices or save on computer, you are supposed to get a great Free YouTube Downloader. Below are best 4 Free YouTube Downloader recommended to you to download YouTube music or video to computer for free. Tips: YouTube rarely offers the full-length movie, most of film content are movie trailers. 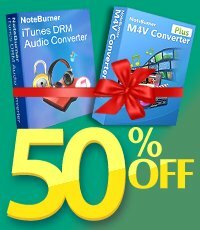 So if you are Apple iTunes user who always rent and purchase movies from it, and want to download your favorite iTunes video for streaming on non-Apple devices, NoteBurner M4V Converter Plus is a wonderful iTunes DRM Removal tool to help you complete this task. Any Video Converter Free: The best YouTube Downloader with Multi-functions additional, includes YouTube video downloader and converter, audio extractor, other 100+ sites Downloader, DVD burner, etc. YTD Video Downloader: Excellent tool for saving your favorite video clips from YouTube and other video websites. It allows to download HD and HQ videos, from dozens of sites and convert to other video formats. All Video Downloader: Great program that allows you to download all videos from many video streaming sites such as YouTube, Dailymotion, Vimeo, and others.